Joie's cowl neck Tibby sweater retailed for $258 at Shopbop before being marked down to $129. 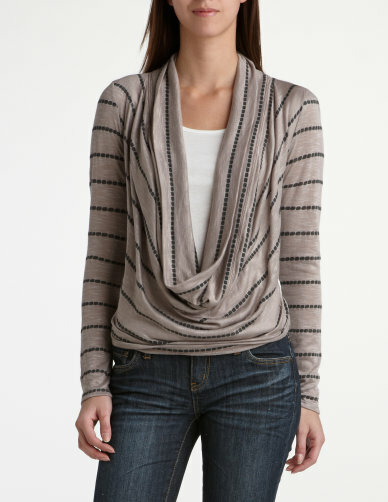 Charlotte Russe has a great option for less with this Deep Cowl Sweater which retails for an affordable $19.50. Click here if you're interested in purchasing.